Superb cottage with loads of charm and character, spacious home with 2/3 bedrooms, small . . .
Beautiful Immaculate 5 Bedroom Breton House in Village location with all amenities, central Brittany. Look no further for a house requiring no work, this house has been constructed with the best . . .
Properties like this at this price do not come along very often. Bursting with original . . . This property has been lovingly and tastefully renovated. With space in abundance. Well . . . REDUCED TO 210,000€. 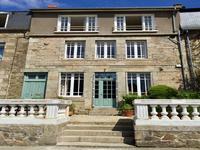 Beautiful stone 4 bedroom/3 Bathroom property with a separate apartment in the heart of a busy french village. Stunning, inspirational 4 bedroom/3-bathroom chambre d ’hotel (B & B), In the centre of a . . . 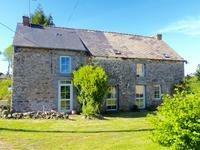 Beautifully renovated longère in rural position Central Brittany. Ideal family home, holiday or rental. This beautiful property has been recently renovated offering a large family home with 4 . . .
A lovely house benefiting from all modern comforts such as central heating & double glazing . . . This lovely 3 bedroom semi-detached village house with oil central heating, would be an ideal . . . This family home offers generous and flexible living accommodation, with 4 bedrooms, a good . . . Solid property of stone, good roof and double glazed throughout. In need of updating . . .
Picture box 3 bedroom/2 bathroom cottage with secluded garden and stunning views near MENEAC. Your new life awaits in France. Perfect holiday property with manageable garden and stunning . . . Stunning property that has been lovingly renovated to a high standard. Large 5 property with . . . Ideal opportunity to own a beautifully renovated longere with over 6000m2 of land in a quiet . . .
Impeccably renovated 3 bedroom property fully furnished with two additional properties. All for this tiny price tag! Ready to move in NOW!!! This will not be available for long!!! Great price for 3 properties.Situated in a small and . . .
Immaculately renovated 3 bedroom country cottage. The perfect holiday home or rental opportunity. Beautifully finished property, nothing to do, just move your furniture in. All new double . . . This exceptional property boasts two separate living spaces ,ideal as a business and a family . . . Situated in a small hamlet, this deceptively large house offers charm and character. With a . . .